Florida police have said they are searching for a possible serial killer believed to have fatally shot three people over the last two weeks. Officials believe the murders, which happened blocks apart, were committed by the same gunman who may have chosen the victims at random, police say. The latest victim was an autistic man who was shot while walking home from work after getting on the wrong bus. Local residents have been advised not to walk alone after dark. 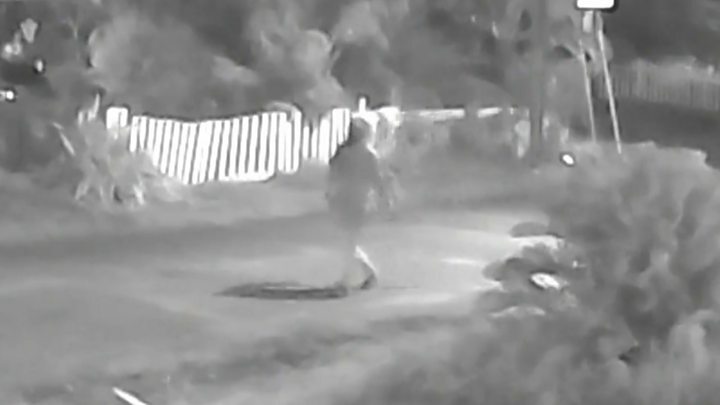 "Now we have someone terrorising the neighbourhood," said interim Tampa Police Chief Brian Dugan, who added that there is "no doubt" that the crimes are linked. Anthony Naiboa, 20, was found gunned down on 19 October in the central Tampa neighbourhood of Seminole Heights. The autistic charity worker was shot to death around 20:00 local time (00:00 GMT), less than a mile away from where two others were shot and killed. Officers heard the gunshots that killed Mr Naiboa, but the suspect had fled before they arrived on scene, according to Chief Dugan. "You can imagine the frustration of these officers to hear gunshots and not be able to find this person," Chief Dugan said. Benjamin Mitchell, 22, was alone at a bus stop after dark when he was shot dead on 9 October. Monica Caridad Hoffa, 32, was walking to meet a friend when she was fatally shot. She was found in a vacant lot on 13 October. Police say the killings could be connected based on the proximity of the murders and time frame, but Mr Dugan said he was cautious about using the term serial killer. The FBI are helping local police in the investigation and have released a photo of a possible suspect, but a motive is still unclear. Local police are accompanying students to bus stops in the wake of the murders, department spokesman Steve Hegarty told the Tampa Bay Times newspaper on Monday. Officers first began escorting residents during a vigil held after dark on Sunday. A crowd of more than 100 marched to the scenes of the murders and chanted: "Whose streets? Our streets." The US Bureau of Alcohol, Tobacco, Firearms and Explosives and the Crime Stoppers of Tampa Bay have offered a $25,000 reward (£19,000) for information leading to the arrest of those responsible for the murders.